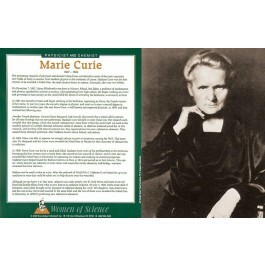 This poster of Marie Curie is part of a series that features great women scientists. Marie Curie was a Polish-French physicist and chemist who was a pioneer in the field of radioactivity. She is credited, along with her husband Pierre, with discovering two new elements -- polonium and radium. 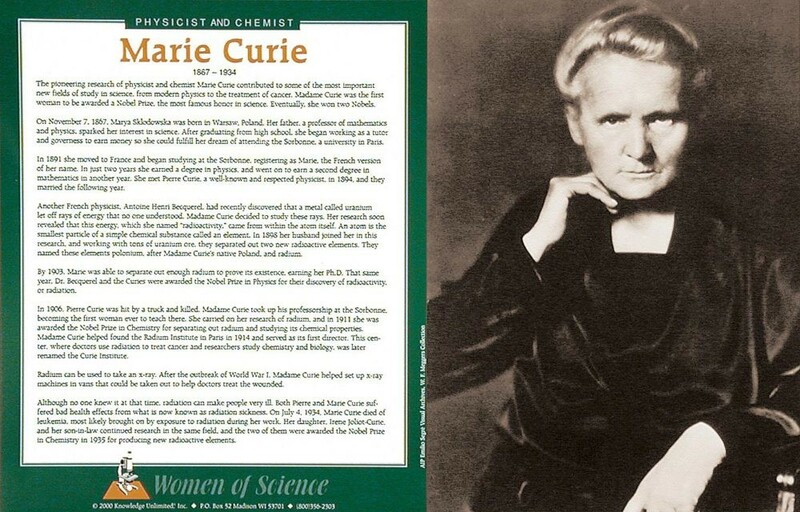 She was the first woman to be awarded the Nobel Prize and the first person to receive two Nobel Prizes. She died in 1934 of aplastic anemia, most likely a result of her years of exposure to radiation in her work. Today her papers from the1890s (as well as her cookbook) are too dangerous to handle and are kept in lead-lined boxes.